I am a recent graduate from the Indigenous Environmental Science Program at Trent University and was looking for a way that I could share my knowledge in a meaningful way. 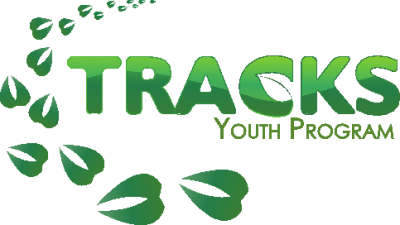 I was fortunate to be hired by the Oshkwazin Program, a branch of TRACKS, which was developed to offer meaningful work and volunteer experience for high school aged Indigenous youth. The word Oshkwazin is an anishinabemowin word for “light your internal fire”. My experience with Oshkwazin has been very rewarding and different than any other job I have ever held. I came into the job not fully sure on what to expect but working here has helped me to develop my work ethic and become more creative in my ideas for program development. Some of the highlights of my summer were starting each day with a smudge. It made my days better and reminded me of my childhood, when my parents would get us to start our day in a good way by smudging. The summer started off with the staff having a visioning meeting of what we would like to see Oshkwazin become. We had brain storming sessions where we worked together to think of different knowledge holders, organizations, and contacts in the community that we could collaborate with. Through this we were able to reach out to these people and start to structure what the school year would look like. We were also able to help out the education staff with some program development. One of the themes for the week at Scugog First Nation was teachings from the four directions. The Oshkwazin staff were able to assist in developing small workshops for each of the four directions. I was tasked with creating a workshop called teachings from the south. I used some of my own knowledge but also had to rely on other resources to develop this workshop. Although we had a lot of planning and computer work we were also able to step out of the office for team building and new learning opportunities. One of the highlights of my summer was going to Six Nations to see and learn about earthships. For those of you that don’t know, an earthship is a type passive solar home that is made from recyclable materials such as can and bottles, and natural materials. They are designed to be self-sufficient using solar power, water is collected from rain fall and they also have a space to grow food. It was very interesting to learn about how earthships are designed and to see the process of what it takes to build one. While on this trip we also have the opportunity to visit the Kayanase Greenhouse. The Kayanase Greenhouse main focus is to improve the health of mother earth by restoring the native trees and plant species in the area. Some of the other highlights included going to Petroglyph’s Provincial Park with the TRACKS education staff as a part of their day camp. The Petroglyph’s is a special place that has been beautifully preserved. 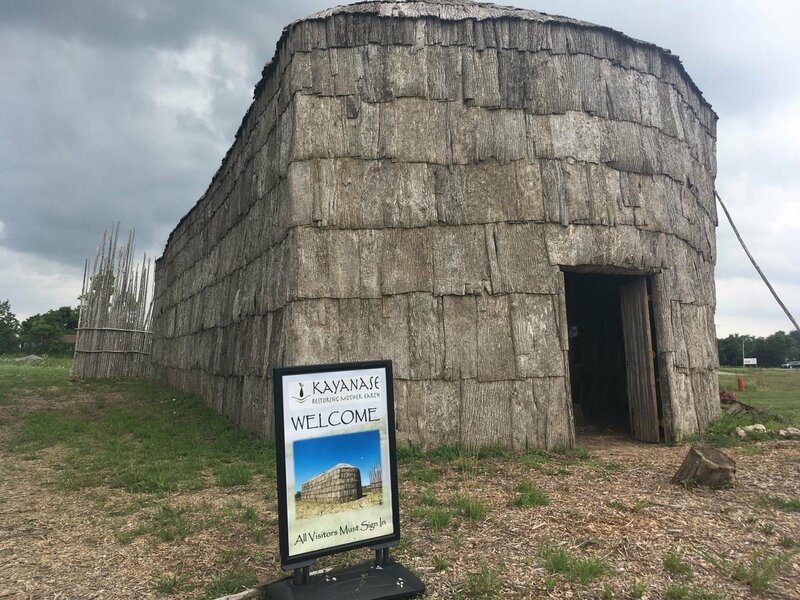 Oshkwazin ended the summer at the Intertribal Food Sovereignty Summit at the Mashantucket Pequot Tribal Nation in Connecticut. It was an amazing experience: check out my last blog to read all about it! My overall experience with Oshkwazin has been a great way to use the knowledge that I gained while in university to help generate new ideas and blend together Indigenous and western science. Working with Oshkwazin gave me a sense of fulfilment and really made me feel like I was valued member of a team. I look forward to seeing the year unfold and to hearing the feedback from the students that join Oshkwazin. We spent a lot of time thinking about how to develop a program that can give high school students the knowledge, confidence and experiences to be successful in high school, post-secondary school and the workforce. As an anishinaabekwe, when I was in high school I turned away from my culture and teachings. At the time I didn’t see the harm in doing so because that wasn’t who I wanted to be. But looking back now, I realize I missed out on learning about my culture. Through this work with Oshkwazin I feel like I am able to learn about some of the opportunities I missed out on. I know going forward I will continue to learn about my culture when the opportunities come. Thank you to all the TRACKS and Oshkwazin staff for an awesome summer!